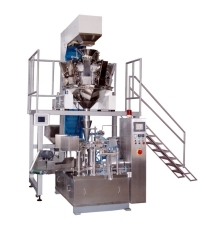 Below is a selection of our Rotary Pouch / doypack Packing Machines. These machines have either 6 or 8 working positions. 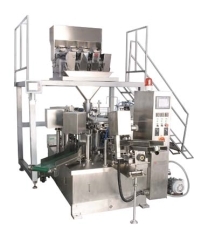 All of our Rotary pouch packing machines can be supplied with your choice of Liquid filling equipment, Auger filling, Linear weighers or Multihead weighers. All machines are CE marked and finished in High Quality Stainless Steel. Powders - eg, icing sugar, flour, mustard powder, milk powder etc. Seeds and Pulses - eg: rice, barley, lentils, sunflower seeds etc.